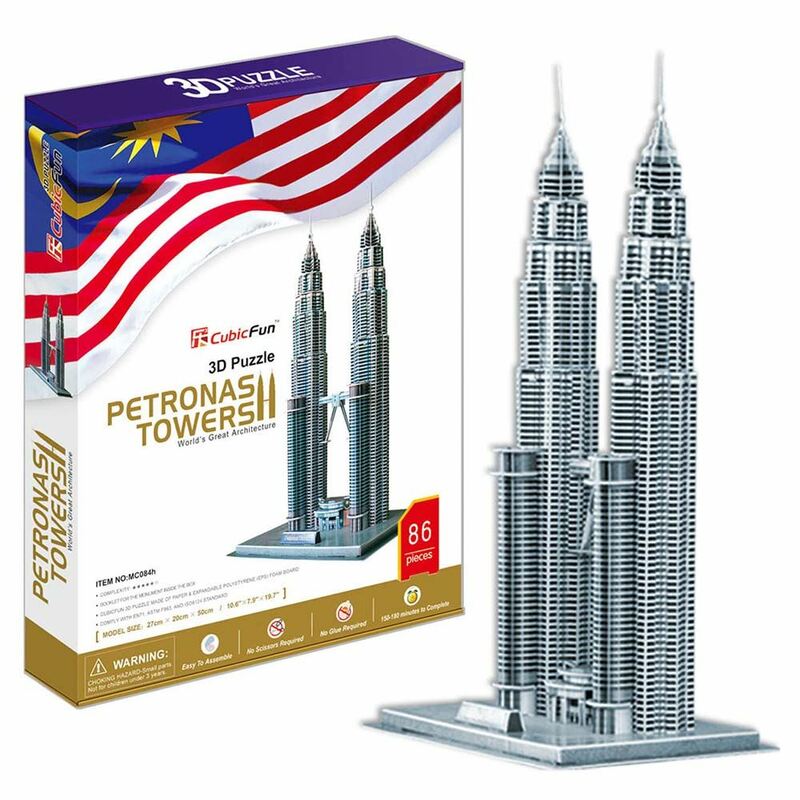 The 88 storey Petronas Towers, also known as the Petronas Twin Towers, developed as an integral part of the Kuala Lumpur City Centre (KLCC) project, house Petronas' new corporate headquarters. Costing a whopping US$1.2bn and uniquely designed by Cesar Pelli & Associates, it rises to 1,483ft (451.9m) in height and is all of 33ft higher than the Sears Tower. The towers feature a sky bridge between the two towers on 41st and 42nd floors, which is the highest 2 storey bridge in the world. The bridge is 170m above the ground and 58m long, weighing 750 tons. This 3D Puzzle is made of paper and expandable polystyrene foam board, it is easy to assemble without the use of any other tools or glue. No of Pieces: 88. Model Size: 26cm x 17.5cm x 51.5cm. Age: 8+ years.